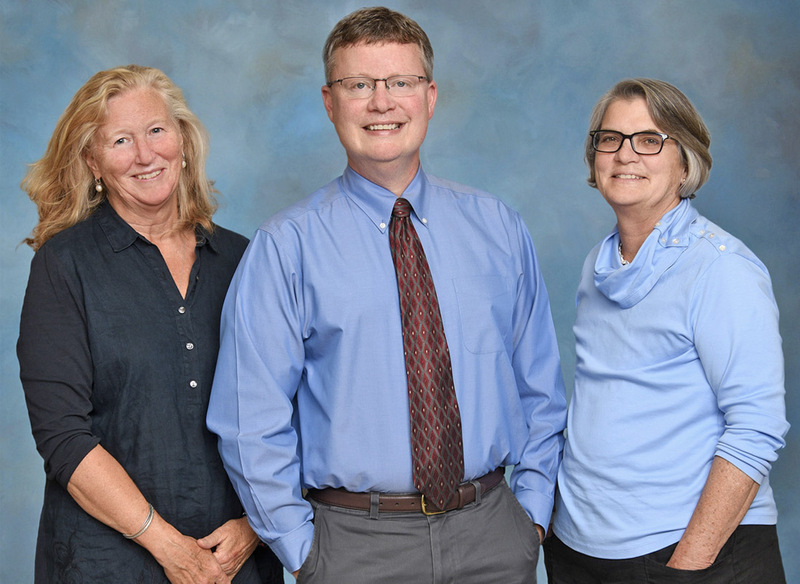 Mid Coast Palliative Care providers (from left to right): Kirsten Skorpen, LMSW, Carl DeMars, MD, and Margaret Gardiner, FNP. Midcoast residents diagnosed with serious illness now have comprehensive palliative care available in an office setting. Mid Coast Palliative Care opened on Monday, October 1 and is currently accepting referrals. The office is conveniently located at 81 Medical Center Drive in Brunswick, on the Mid Coast Hospital campus. "We are grateful to be able to offer a service that can have such a positive impact on patient care," said Dr. Scott Mills, Vice President of Medical Administration and Chief Medical Officer at Mid Coast–Parkview Health. "When a serious illness is diagnosed, patients and providers can feel comforted knowing that an extra layer of support is available within our community." Carl DeMars, MD, will head the new practice. Dr. DeMars earned his medical degree from Wake Forest University in Winston-Salem, North Carolina, followed by a residency at Maine Medical Center, Portland. He is board certified in Internal Medicine, as well as Hospice and Palliative Care. Margaret Gardiner, FNP, and Kirsten Skorpen, LMSW, work together with Dr. DeMars and a team of nurses and other specialists to provide care both in the office setting, as well as for patients of Mid Coast Hospital. Mid Coast Hospital began its palliative Care program in 2000 to care for patients in the hospital setting. With the addition of the new outpatient practice, caregivers can now provide supportive care earlier after the diagnosis, working in tandem with other medical specialists to improve quality of life for both the patient and the family and provide patients with relief from the symptoms and stress associated with their diagnosis. "Palliative care provides additional support for patients and their families as they navigate the complexities of serious illness," said Dr. DeMars. "Regardless of the patient’s age or stage of illness, in addition to the curative treatment, our team of specialists can provide supportive care focused on what matters most to the patients." Services offered by Mid Coast Palliative Care include pain management associated with serious illness, emotional and psychological support, spiritual care, and stress management, as well as treatment of symptoms related to cancer, Congestive Heart Failure (CHF), Chronic Obstructive Pulmonary Disease (COPD), kidney disease, Alzheimer’s Disease, Parkinson’s Disease, Amyotrophic Lateral Sclerosis (ALS), and other serious illness. Mid Coast Palliative Care is located at 81 Medical Center Drive, Suite 1150 in Brunswick. More information is available at www.midcoasthealth.com/mcmg/specialty-care/palliative-care. Referrals and appointments can be made by calling (207) 373-6125.